Now offering carefully curated small scale event/workshop planning & programming support to help provide a local edge to your event/workshop, amplify your message, and grow your business & community, locally! From My Local Eye to Yours! Pop into the shop to see our latest goodies. This 4-page cheat sheet and guide includes a sample of my local favorites on what and where to EAT, DRINK, EXPLORE, and SHOP in LA. Delivered straight to your inbox and updated seasonally! Hi! I'm Kelly-Jo and I am the creator of La La Local. 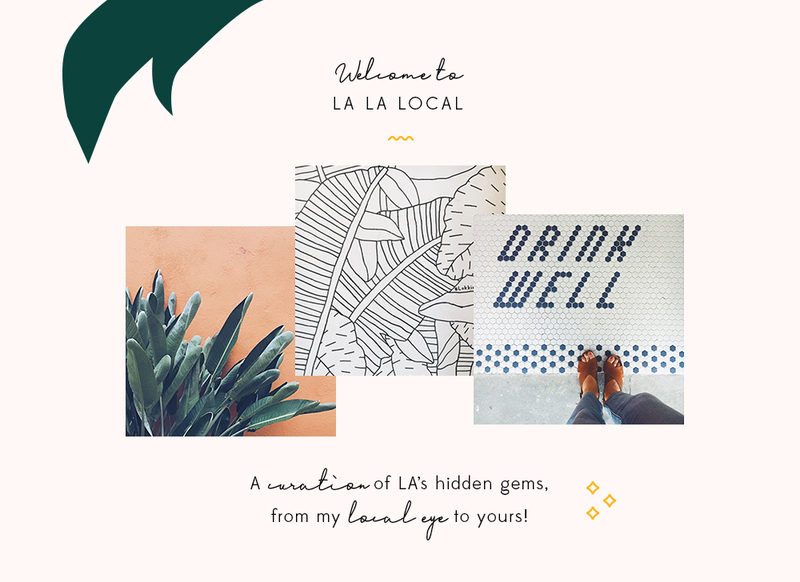 My goal for La La Local is to share all the things about Los Angeles that inspire me in hopes that you come to love it just as much as I do! New to LA: Roommate/Apartment Hunting! Get a pulse on LA updates and things to explore and do from a local lens. All images credited to La La Local are copyrighted material of La La Local and may not be used without La La Local's consent. If you wish to use any images on this site for any purpose, please email LaLaLocal.CA@gmail.com with the subject line “Use Inquiry.” Thanks!